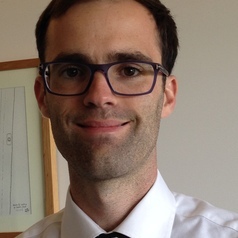 Harry Hobbs is a PhD Candidate in the UNSW Faculty of Law and a Lionel Murphy Postgraduate Scholar. His thesis steps beyond the debate on constitutional recognition of Indigenous Australians and explores whether and how Australia's political institutions can be re-imagined in order to ensure that the views and interests of Aboriginal and Torres Strait Islanders are reflected at all stages of the processes of government. Prior to joining UNSW Law, Harry worked in the Parliamentary Joint Committee of Human Rights, the ACT Human Rights Commission, and as the Legal Research Officer at the High Court of Australia. He has a LLM from New York University and a BA/LLB (Honours) from the Australian National University. He has published on human rights, international law and transitional justice in Australia and internationally.